Learn about the latest scientific research regarding the use of mesenchymal stem cells for human joint repair and recovery, with strong evidence in the study showing that it is safe and provides positive health outcomes. Learn about Dr. 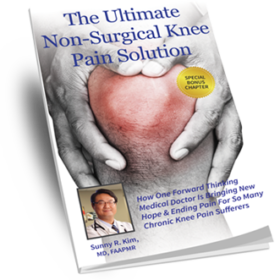 Sunny Kim’s treatment of chronic knee pain using a highly specialized, minimally invasive, non-surgical, drugless procedure. The treatment harnesses the body’s own natural, recuperative healing cells. Progressive Rehabilitation Medicine is an Iowa provider of regenerative medicine. We offer a multitude of therapies, one of which is stem cell therapy. Mesenchymal stem cell (MSC) therapy is where stem cells are injected into an injured area. Stem cells are living cells that can transform themselves into many different types of tissue, and are therefore able to differentiate into ligaments, tendons, bone, nerve, and cartilage. 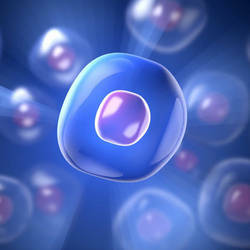 Hence why these cells are thought to be useful in regenerating the body naturally. When an injury occurs, it is the stem cells that are released and summoned by the body to rebuild damaged muscle, joints, or cartilage. By injecting these stem cells directly into the damaged area, the idea is that it accelerates the body’s natural healing process. Until recently, treatment options for osteoarthritis or joint pain were limited. Steroid injections, joint replacement surgery, and physical therapy were the only treatment options. Stem cell injections are now available, and not only can they alleviate pain, but may offer an option for regenerating some tissues and/or joints. The best option for anyone would be to come in for a consultation to see a) if stem cell therapy may be a viable option b) to assess the level of pain or injury to see what is the best course of action. We also provide specialized stem cell rehab to build strength and recondition the weakened joint to address all the factors that contribute to the injury and lack of proper function. We are happy to discuss Mesenchymal Stem Cell (MSC) Therapy or any other option that may work for you. 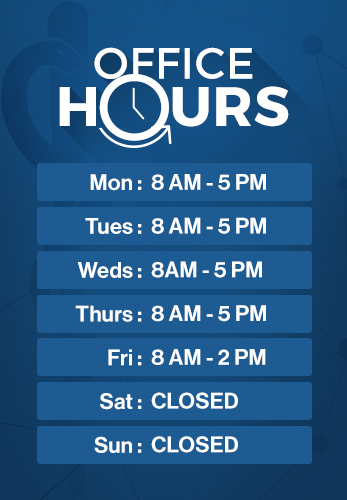 Please call our office in Cedar Rapids Iowa at (319) 393-1320 to schedule a consultation. Progressive Rehabilitation Medicine is a Cedar Rapids, Iowa based provider of rehabilitation services. We provide a wide variety of non-surgical minimally invasive treatments ;including Stem Cell Therapy, Deep Tissue Laser Therapy, Botox, Electromagnetic Field Therapy and more. We provide services to clients throughout the Midwest including: Iowa, Illinois, Minnesota, and Wisconsin.